Question answered. Post finished. Done for the day. Okay, okay, there are plenty of other reasons why anyone would want to teach English as a Second Language (ESL) in another country in general but there are also many exciting and unique reasons specific to Spain. This is a short-medium sized post on why you should not only teach ESL, but why you should specifically teach ESL in Spain. That’s right. You read it correctly. Teaching English in Spain, and by teaching English I mean being placed in an actual Spanish school, in an actual classroom, with actual students, all the while getting paid, is entirely free. Well there are a number of reasons but the primary one is that the Spanish government sees the long-term value in it’s citizens becoming increasingly proficient in English and several years ago created a specific program to bring in native English speakers from around the world to work as auxiliares, language assistants, in Spanish classrooms to help raise up the next generation of English speakers. Because there is such a high demand and because it is such an important issue to the Spanish government, the program is completely free, and comes with a monthly salary, free health insurance and all the perks of living in sunny Spain. 2). You get to live in sunny Spain! Not only is teaching ESL in Spain free and your chances of being accepted into the program very high, you get to live in an incredibly beautiful place known the world over for its pristine beaches, snow capped Sierra mountain ranges, and tranquil coastlines. Millions of tourists around the world come to Spain each year just to visit it’s breathtaking sights and surroundings and unlike many things in life that are more beautiful in post cards then they are in real life, Spain does not fall into that category by any stretch of the imagination. Take a look at this article from Seeking The Spanish Sun that explains the Spanish alore very well. Every story and documentary and Facebook post you’ve ever seen about Spain quite honestly doesn’t do it justice. I mean, just take a look at these photos! For more breathaking Spanish sights, take a look at another well-put article from Seeking The Spanish Sun. 3). You are able to partake in the unique Spanish culture and lifestyle. Spain not only is an incredibly unique country in comparison to the entire globe, but even within it’s own continent Spain really stands out. It could very well be that Spain is somewhat unique from the rest of mainland Europe because of the Pyrenees Mountains separating France (attached to mainland Europe) from Spain or the fact that the country is part of a long peninsula that juts out from Europe (the Iberian Peninsula), but whatever the reason Spain has developed over the centuries to be a truly rich and vibrant culture and society. Just take a look at the Spanish eating schedule. The rest of Europe might typically, because of culture and custom, eat their lunch around 12pm or so and their dinner around 7pm at in the late afternoon. However, in Spain both of those times would be defined as a merienda, or snack, and would opt to eat their lunch at a late 3 in the afternoon and their dinner at a famishing 10 at night. That might seem like a minor example but in many ways it is very telling of the way Spanish culture is different from the rest of European culture, which is why living in Spain is such a continuously exciting adventure full of rich foods, fun people and enjoyable way of life. Doing life in Spain, with the exception of big, bustling cities like Madrid and Barcelona, has a tendency to move slower than many other parts of the world. There is more of a focus on spending time with people, not fretting over money, worrying less and enjoying more. It’s a real “stop and smell the roses” kind of culture. 4). No matter where you go, you are walking on history. It’s mind blowing to think how old and ancient Spain is, and even more mind crippling to think of all the major world/historical events that have taken place there over the millennia. It’s a part of the world that’s just really, really old. And the ancient structures that still exist today that can be touched and explored and experienced are just unreal. Take for example the Roman Aqueduct in Segovia, Spain, about a 45 minute car ride north of Madrid, which was built over 2,000 years ago when the city was Roman led. It was built with zero cement or mortar and is incredibly still standing two millennia later. How did it ever stand in the first place and not immediately topple over without being held together by cement? Roman ingenuity! Each block was perfectly cut to fit on top of the one below and is held together by nothing more than gravity. Spain is full of fascinating history that can be touched and experienced even to this day which is why you should choose Spain as your far-away destination to teach ESL if not for just the chance to see it’s ancient buildings and historical landmarks! In other words, what are you waiting for? Come to Spain! When we think of wine, its very likely that a few specific places around the globe come to mind, one of which undoubtedly being Spain. There’s no denying that Spanish wines are world renowned for their flavor, variety, textures and uniqueness. Like taking a swim on a hot day, or shooting for a B- and getting a solid A, Spanish wines, simply put, are just the best. Here is a simple guide to understanding Spanish wines. Often referred to as Rioja because of the region in Spain where this grape varietal originates, tempranillo wines are perhaps the most common reds found in Spain, and will most likely be the bottle you buy when friends come over because of its price and popularity. Tempranillo wines can be subdivided into four different styles: Rioja, Crianza, Reserva and Gran Reserva. Rioja being the cheapest, typically costing €4-5 ($5-6) for a good bottle, and having been aged for a year, up to Gran Reserva where it is aged for a total of 3 years, 2 of which are in oak barrels. A good bottle of Gran Reserva is usually in the ballpark of €28 or more ($35+). Garnacha, also known as Grenache in France, is a popular grape varietal north of the border in France but actually originated in Spain. Garnacha can be divided into young and old with the younger grapes tasting more like sweet strawberries and the older, aged grapes more of a deep, red licorice. A bottle of young garnacha, great for making a sweet sangria, is in the ballpark of €9-14 ($12-18) and the older of the two, known as fine garnacha, ranges in price from €20 to €28 ($25-35). Authentic Sherry, often refereed to as the whiskey of wines, only comes from one place on the planet: Andalucía in the South of Spain. Like Champagne from France, or Bourbon from Kentucky, a true, genuine Sherry can only be found in the hot and dry Spanish region of Andalucía. Known by North Americans as a sweet wine, Sherry in fact comes in two varieties, sweet and dry, and is a great companion of certain foods such as olives, cured meats, and cheese AKA all the good things Spain has to offer. Monastrell, also known as Mourvèdre in France, is yet another popular grape varietal in France that ultimately has its origins in Spain. Found in a wide reaching area of Spain ranging from Valencia on the East coast to La Mancha towards the center of the country, Monastrell wines are popular for their chocolate and black-pepper hints, and has even been known to have hints of vanilla and mocha the longer they are aged in oak barrels. A good bottle is in the price range of €8 to €14 ($10-18). Last, but not least of all, Mencía wines come from the Mencía grape varietal found primarily on the West coast of the Iberian Peninsula in Portugal and Galicia, Spain. Commonly blended with other grapes before bottled, Mencía wines are medium bodied with floral aromas and not too many mouth-drying tannins. A good bottle is anywhere from €16 ($20) to €24 ($30). If you found this post to be helpful, take a look at our other posts as we discuss a variety of topics related to Spain. 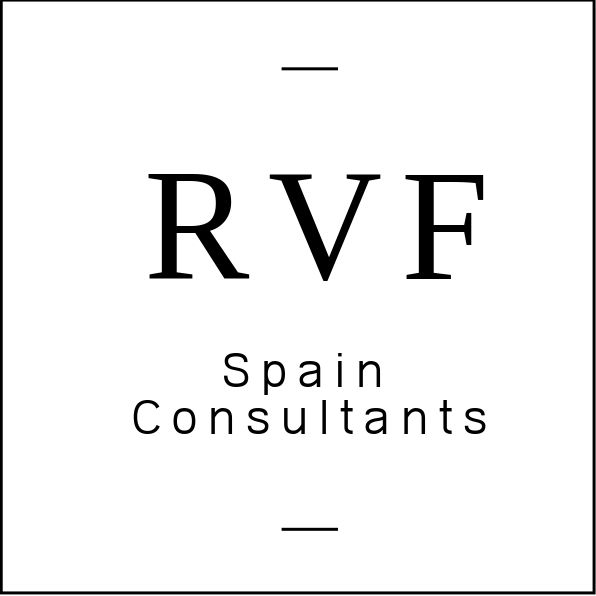 If you are interested in teaching and living in Spain for a year, send us an email at rvfspain@gmail.com letting us know so we can contact you to set up a free 20 minute consultation!